The chocolate favors have 6 Hershey Nuggets and a topper. Please fill in names in boxes marked for girls and boys and each on will have a guest"s name on them. FREE: All party favors are individually gift wrapped with cellophane and ribbon. 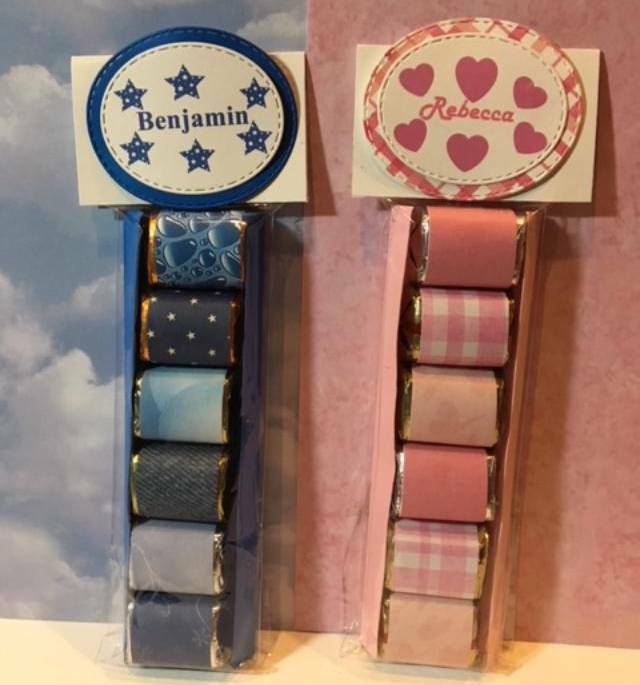 Those who order 12 or more favors can receive FREE Thank You labels with the birthday child's name on it. The Thank You labels will come attached to the cellophane gift wrap for each favor. Free labels MUST be requested with the initial order. Save on additional shipping charges, order extra party favors without names for late responses or unexpected guests!!! !